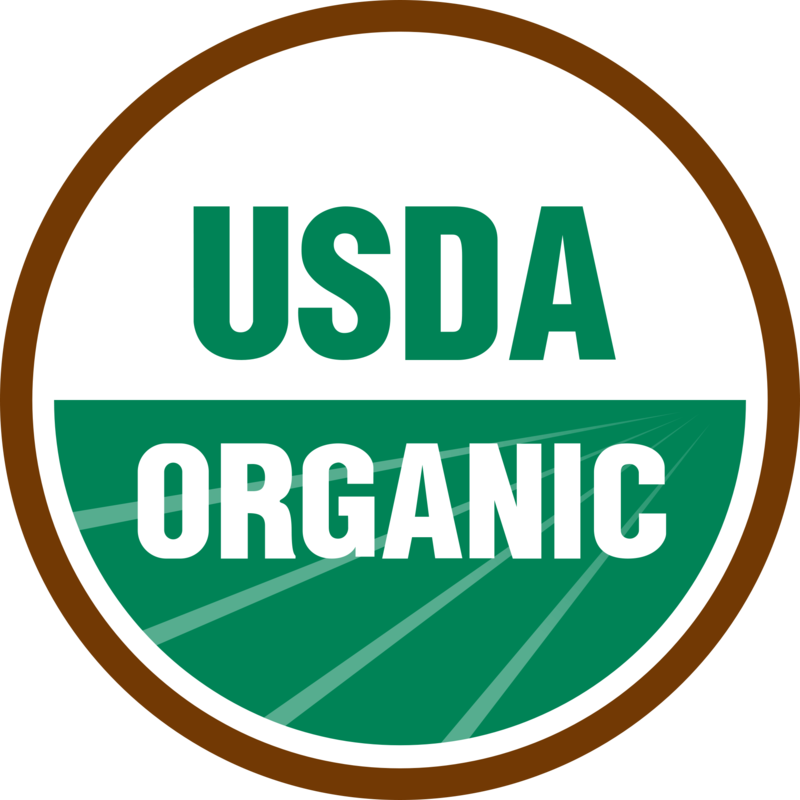 Introducing USDA Organic, individually wrapped drops in a convenient, resealable bag. 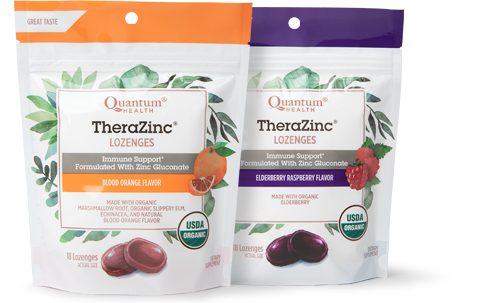 TheraZinc Blood Orange Lozenges are made with organic cane syrup, organic brown rice syrup, natural blood orange and other natural flavors, organic radish concentrate, organic apple concentrate, organic blackcurrant concentrate, and organic honey. TheraZinc Elderberry Raspberry Lozenges are made with organic elderberry, organic cane syrup, organic brown rice syrup, natural raspberry and other natural flavors, and organic honey. 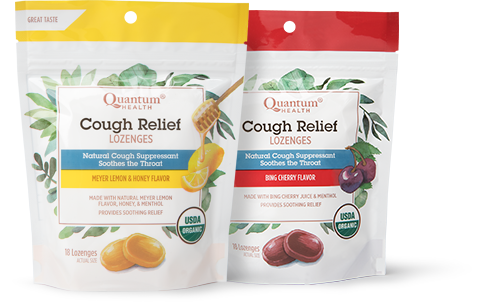 Quantum Health® Cough Relief Lozenges are a must have staple during winter months, back-to-school season, and any other time of seasonal immune challenge. Experience throat soothing and cough quieting comfort with our USDA Organic drops made from the highest quality ingredients. When your throat needs soothing and your cough needs quieting, provide yourself with the cough drop that contains only good-for-you ingredients! Cough Relief Meyer Lemon & Honey Lozenges are made with menthol, natural Meyer lemon flavor, organic brown rice syrup, organic cane syrup, organic honey, organic slippery elm powder, and organic turmeric. Cough Relief Bing Cherry Lozenges are made with menthol, beetroot juice, Bing cherry juice, organic brown rice syrup, organic cane syrup, organic honey, and organic slippery elm powder.